With Rootstech hot on our heels, I hope you will look over my Pocket Guide to Salt Lake City for great tips on where to stay, where to eat, and where to play. An absolute fun place to eat and play in downtown Salt Lake, and just a stone's throw from Rootstech, is City Creek Center. It really is the new shining gem in the downtown landscape and it has some great features you should be aware of before coming into town. You'll definitely want to put it on your "To-Do" list, even if you are only into window shopping or grabbing a quick bite at the food court. Here is the new section of the Guide about the City Creek Center. City Creek Center is the newest addition to downtown’s wonderful shopping options. Located at 50 South Main Street, it is the closest/best food and relaxation break from the library. In the winter months the mall is all indoors, but when the warmer months arrive, the mall’s retractable roof creates an open air shopping experience. It is the first mall in the United States to have a retractable roof in place, which is not only unique but beautiful. The roof allows for open air flow, increased light, and reduced need for air conditioning in warmer months but also protection from inclement weather conditions in the harsher winter months. Either way, roof open or closed, the natural light and natural stone walkways with recreated historic City Creek (which originally was a main source of water for original settlers and farmers new in the Salt Lake Valley) create a lovely shopping environment, unlike most big city malls. And an excellent Winter season perk is that the exterior walkways of the Center have a heated snow-melt system within them. This allows shoppers to enter and exit City Creek, as well as navigate it's exterior courtyards, without slipping on ice or walking over salt and ice-melt. Every thought was taken to make visiting City Creek a pleasure, year round and in every kind of weather. City Creek Center is a genuinely beautiful place to experience, shop, and dine. The recreation of the original City Creek runs straight through the middle of the entire shopping center. And it has live fish, swimming right through it. In addition to this namesake water feature, the shopping center also plays stage to several water fountains, including three by WET Design, makers of the famous Bellagio fountains in Las Vegas. Two water features include a fire-and-water shows, one choreographed to music. The shows are fun and the pyrotechnics are a boon of warmth in the Winter months. A definite must see if you have a free evening. Speaking of warmth, the shopping center boasts a large, four-sided fireplace in an outdoor courtyard area that makes for a cozy place to sit and sip a warm drink and visit with friends and family. If you get lucky enough to be by the fireplace when a light sprinkling of snow comes along, it's really almost magical to experience. Among the various water features, be sure to look for the art and sculptures spread throughout and see if you can identify the animal tracks located here and there in the walkways. All in all, City Creek is just a beautiful place. The mall itself is in two sections, divided by Main Street, which can be easily crossed by an indoor pedestrian sky bridge. The sky bridge spans 140 feet with no columns or supports. The glass of the skybridge is etched with 3-D leaf patterns and creates an interesting dappled shadow below when the sunlight shines through the bridge. It's a scenic and seamless way to get from one side of the shopping center to the other, so much so that it's easy to forget your crossing over a major thoroughfare as you walk over the skybridge. And from the center of the bridge, you can get a very nice view of not only Main Street, but also nearby Ensign Peak. And for those who enjoy history, be sure to take a look at the bronze floor plaque, depicting the original Salt Lake City map plat. City Creek Center also has a top-notch concierge service desk. If you live more than 50 miles away from City Creek Center, just stop by the Visitors Center to receive your free "Passport to Shopping," a coupon book offering discounts and special offers at over 60 retail shops within City Creek Center. 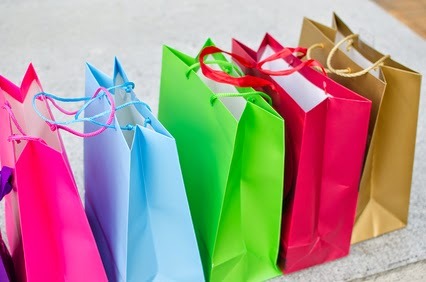 If you opt to do some shopping with your discount book, be sure to take your same day receipts of $150 or more back to the Visitors Center to receive your complimentary City Creek Signature bag. Your driver's license or passport is required for both of these visitor perks. In addition to this, the Visitors Center offers several other amenities. Stop by to inquire about free wheelchair rentals, valet parking, Trax and bus routes, local attractions and events, and more. There is also a real time travel board with constantly updated flight information for Salt Lake International Airport. This is particularly helpful if you are doing a bit of shopping or dining the day you leave town and want to keep track of your flight status. The visitors Center is located on level 1, just outside of Macy's. Some of Salt Lake’s best top end shops and dining can be found here. Everything from Tiffany & Co., Anthropologie, Michael Kors, Coach, Lush, Rolex, and many more high end retailers are nestled in this beautiful mall. It also contains some great options if you need a technology fix, with The Apple Store, Microsoft, AT&T, Sprint and Bose, to name just a few. There is an ample food court with everything from Chic-Fil-A to McDonald’s, your standard pizza and hibachi, but also you can’t miss the Red Iguana’s counter service location and some treasures like the Cuban pork sandwich at Bocata and the Utah Sushi at Mr. Sushi. If you would like a nicer sit-down dining option, I already mentioned the genealogist’s favorite, Blue Lemon. I’ve also had some brilliant genealogy discussions with friends at BRIO, and at Texas de Brazil Churrascaria, as well as some of the other sit down options. Kneaders is another excellent local favorite that I frequent at their location near my home. I love the Mushroom Brie Soup and my kids love the all you can eat breakfast of pancakes and French toast with truly magical buttermilk syrup. Kneaders is the best place to pick up a big gift basket to take home to your family so that they forgive you for abandoning them in your family history pursuits. And, away from the food court, but just outside of Macy's, is Farr's Ice Cream, which offers self-served ice cream, yogurt, and frozen custard, in addition to hand scooped ice cream. You can sit inside Farr's or in the writer's cafe attached to it, in front of Macy's. It's a nice quiet area, with big open windows facing Temple Square, to let you people watch or work with a tasty treat in hand. Be sure to take a stroll through City Creek, if you get a moment. With its indoor creek and relaxed pace, it’s a nice break from research when you need one. Being only a quick walking distance from the Family History Library, the Salt Palace, and several hotels, it's definitely the closest place to find what you need during your time in the city.